A top-secret drone crashes in the lawless Horn of Africa. The CIA is prepared to write off the loss, until evidence surfaces that the wreckage of their prized aircraft is hidden in a hangar outside Khartoum's main airport. The hangar is owned by a shady cargo airline that flies ancient DC-3s across Africa and the Middle East. 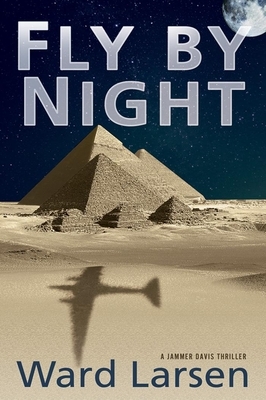 The name of the company does nothing to still concern: FBN--Fly by Night Aviation. The U.S. government must find out what is in the hangar, and when an FBN airplane crashes, the opportunity arises for the National Transportation Safety Board to send an investigator to get to the bottom of things. Jammer Davis is the NTSB's biggest headache, but also its best solo operator. He goes to Sudan in the name of solving an air crash, but with the true aim of locating the priceless remains of America's latest technological marvel.